Hey Friends! I hope your weeks going great for you! 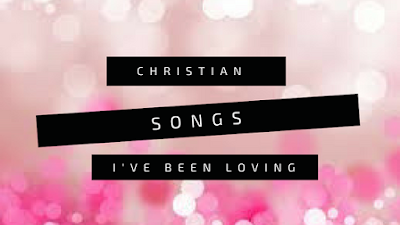 Today I wanted to share with you some new Christian songs I've been loving. I know a lot of you on snapchat always appreciate these posts so here ya go! Love y'all. GOD BLESS!!! Let me know what some of your favorites are at the moment! j'avais l'honneur de visiter ce blog!